The future is now the present as mobile and virtual currencies are expanding across the globe. Many countries in Asia and Africa have embraced mobile and virtual currencies. In recent months, the chatter and posturing have finally been transulated to tangible initiatives and products. 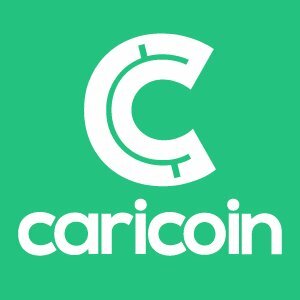 The latest entrant is Caricoin, a mobile wallet built for Bitcoin targeting Caribbean nationals. Caricoin Ltd is a UK-based company with development offices in Kingston, Jamaica. Caricoin’s mobile wallet, built in partnership with the leading security platform BitGo, allows anyone to open an account by simply downloading the application and linking it to their mobile number. With mere seconds required for activation and no preconditions to qualify, the app opens the doors to users around the Caribbean who do not have access to traditional banking. The company’s long term goal is to both accelerate and encourage financial inclusion by creating a mobile money ecosystem based on a single currency that can easily be used by anyone across the Caribbean. This has long been one of the goals of CARICOM, known as the Caribbean Single Market and Economy (CSME), and its potential for transforming the region’s economy is positively astounding. I’ll be downloading the mobile app and taking it for a spin in the coming weeks. The Bitcoin train is extending to more and more parts of the globe; exciting times ahead.